MARTHA STOP THE CAR! THIS IS THE MOUNTAIN VIEW LOT WE HAVE BEEN LOOKING FOR. 180 DEGREE PANORAMIC MOUNTAIN VIEWS OF THE MAZATZAL MOUNTAINS & FOUR PEAKS. 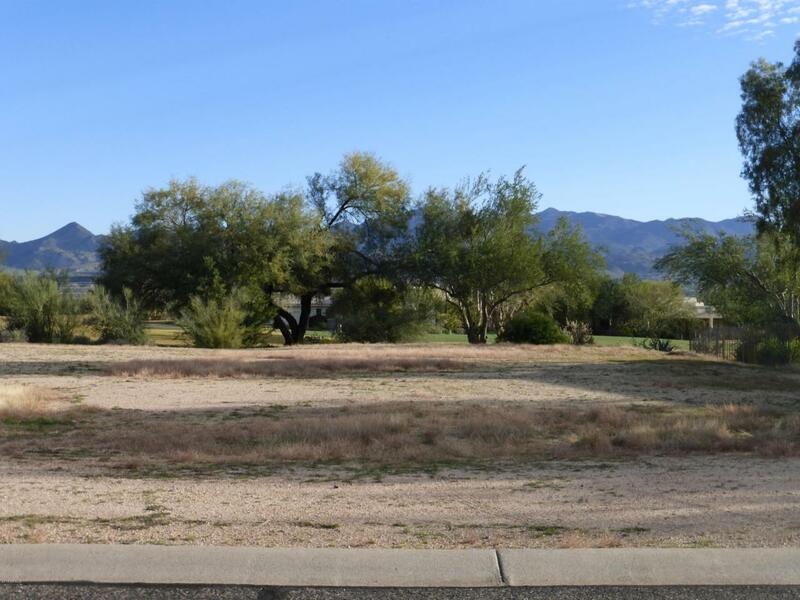 THIS LOT BACKING TO HOLE #2 ON THE RANCH GOLF COURSE & IS LOCATED ON A QUITE CUL-DE-SAC-STREET. CHOOSE YOUR OWN BUILDER & BUILD ON YOUR TIME FRAME AS THERE IS NO REQUIRED TIME FRAME TO BUILD. YOU CAN HAVE YOUR OWN GOLF CART WITH NO TRAIL FEE & NO FOOD MINIMUMS. TONTO VERDE HAS TWO CHAMPIONSHIP DESERT GOLF COURSES, REMODELED CLUBHOUSE, FINE & CASUAL DINING, FITNESS CENTER, HEATED SALTWATER POOL & SPA, DRIVING RANGE, PRACTICE AREA, 18 HOLE NATURAL GRASS PUTTING COURSE LIGHTED. HIKE, BIKE, & HORSEBACK RIDE IN MCDOWELL MT. REGIONAL PARK, NEEDLE ROCK STATE PARK, & TONTO NATIONAL FOREST. STABLE YOUR HORSE AT THE COMMUNITY HORSE FACILITY. Cross Street Forest & Tonto Verde Dr.